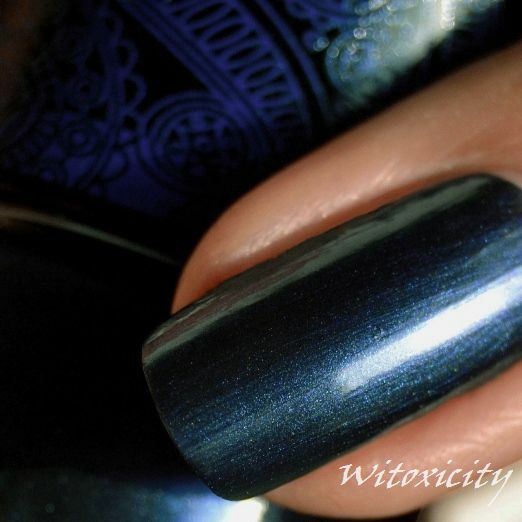 If Catrice Looking Sunkissed was a red satin ribbon, then Be Indiglow would be its blue counterpart. 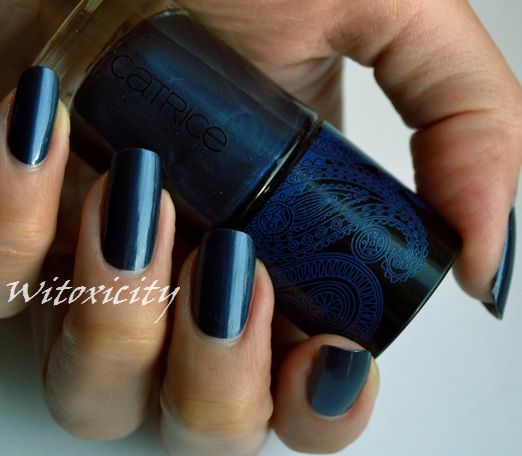 As you would have noticed from the paisley print on the bottle cap, Be Indiglow belongs to Catrice's Bohemia Collection. 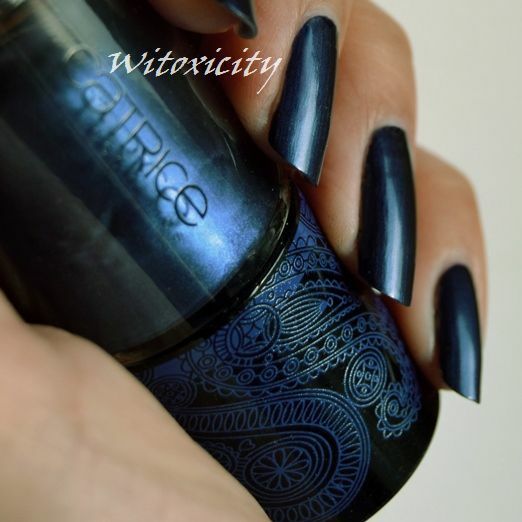 Simple dark blue, two coats and a dream to apply. Only €2.49. Here I am delighted with this glaze, beautiful! The color is perfect and the glass charm! Estou aqui encantada com este esmalte, lindo! A cor é perfeita e o vidro um charme! I thought it was going to be too dark for me, but surprinsingly, not! Looks great, a very pretty colour! This is so beautiful. And your painting is so professionally done. How do u keep the edge so neat?